An inside look at what it really takes to become a better trader. Emphasizing the development of skills that are critical to success, such as the fundamentals of One Good Trade, Reading the Tape, and finding Stocks In Play. Outlining the factors that really make the difference between a consistently profitable trader and one who underperforms. 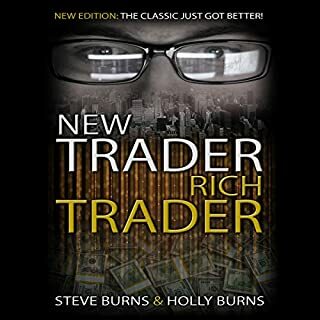 Sharing entertaining, hysterical, and page turning stories of traders who have excelled or failed and why, many trained by the author, with an essential trading principle wrapped inside. ©2010 Mike Bellafiore (P)2012 Audible, Inc. I actually looked up the authors company and read about what employees current and past had to say. Basically they said that he hasn't made money since the Internet boom, and the objective of the firm and this book is to sell their training courses and various other things they market. Well I don't think that's fair since there are some good insights in the book, it is clear that it is more an advertisement than anything else. In addition they keep talking about how much money they make and how great they are, and they don't mention that any trader who works for them basically has to put up a lot of their own money to participate 50-50 with the firm. I would be very suspect,I much prefer market wizards or reminiscences of the stock operator if you're really trying to learn how to trade. kept expecting they would teach something about trading. seems to just promotes joining a prop firm's training program. Give me something to grasp. Everything is hypothetical, and do this , and do that. This book was written, so the guy can say " i wrote a book ". Its filled with empty content. a deeper look into the performance aspect of trading, and not just the heady stuff. very well written, and encouraging. all of the sports anecdotes really drive home the fact that trading is very much a performance based "sport!" I will read it a second time and move on to The Playbook. Great book for any trader! What made the experience of listening to One Good Trade the most enjoyable? I really liked how the author would convey learning topics with real-life examples in the form of stories. He used actual people's hard learned lessons to teach the reader some things to do and some things not to do. The stories had depth and meaning and were enjoyable to listen to. I liked how real the entire book felt. I feel like I now know Bella and Steve like they were my personal mentors. I feel like I could walk up to any person mentioned in the book and strike up a conversation like we were best buds from college. Most books on the stock market are very dry and hard to stay interested in but not "One Good Trade"! 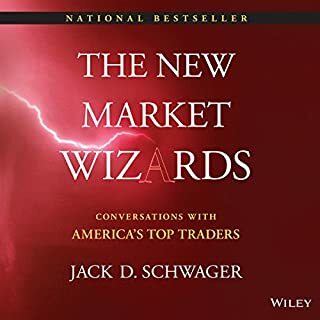 Out of the dozens of Trading books I have read/listened to this one is by far my favorite. Although it is hard to talk about an actual scene in this book I would have to say I liked how Bella would describe the different traders and their trading style. It was helpful for me to hear how different people had different styles of trading and what worked best for them. Great book, really one of the best books about trading out there. It has just enough teaching as it does story telling to keep me interested and coming back for more. I have listened to this book prolly 6-7 times in its entirety. It is that good. If you have any interest in joining a PROFESSIONAL Prop firm, this book should be required reading, on my way now to pick up Bella's 2nd book, "The Playbook"
A "kick in the pants" motivator. Truly inspiring. I loved it and will be listening again and again. Taught me the nuts and bolts of thinking like a real, active professional trader. 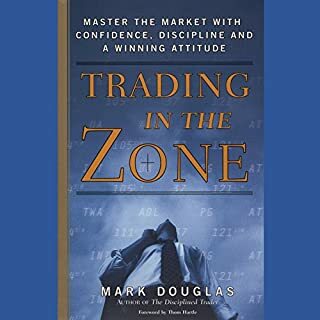 Great book for the developing trader, let this be the first book you read on trading if you want to be serious about. Teaches psychology, skills and history. Must read if intrested in trading. i was putting the book on shelf for too long. Will reread with in couple month. Matter of fact so impressed I bought The playbook hard copy. The best part about it is that SMB is still very active on trading and the Team works hard! Very discipline traders. Bella is the role model for every wanna be intraday traders. Trading cannot be thw business of one trick pony. Life long learning and constant adaptation is the only secret source. Thank you for the great work Bella! Great book. Would definitely recommend to any trader. Bella goes straight to the point with plenty of real life examples. Very interesting story I do recommended with the detail that will make you think how to be a professional trader on the long run, the only I found to much was the details of the trades, that make for other hand interesting how be possible to have so much details of trades with that many years of diferente, that say I lot to the profesional trader and couch well done. Absolutely loved it, my notebook is full of informative notes. 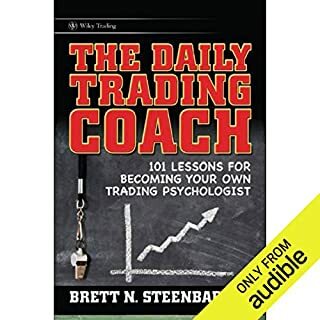 packed with Trading Psychology. Would recommend to anyone starting to trade. Well written and read. Really enjoyed it. Makes me want to go and work at SMB! Every trader should have this book. 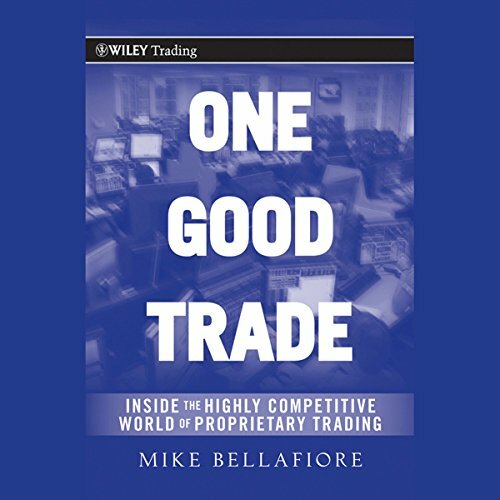 One Good Trade is fantastic and should be part of every traders library. I have just finished listening to it and am already looking forward to listening again! I highly recommend this book to all traders, its not only for those who wish to day trade for a prop firm. This book is packed full of valuable insight for all traders and I’m very grateful to the author for sharing. I liked this book, it got lots of tiny details that can help you to be a better trader. As the same time there were lot of self boasting of the author as well but overall it’s a good read. Loved it. Great from a psychologic aspect as well as real trading detail. Covers all aspects of becoming a successful trader. Good book with lots of knowledge. One of the best books I ever listened. It is thick with knowledge even if it isn't served straight away. Time to buy the book rather than jug down notes! Lots of good tips for traders + a lot of marketing efforts for his firm but nevertheless lots of great lessons to help day traders. 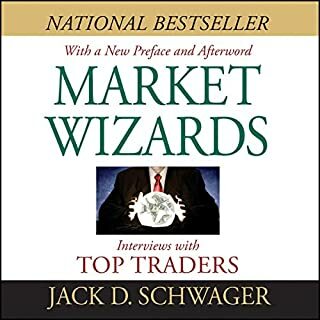 If you are a trader, professional or otherwise, you must read/listen to this book. It is full of invaluable insights into the markets and the industry and plenty of general trading wisdom. I am definitely an improved trader for having read it. Really thoroughly enjoyed this book and all of the content inside. Offered great perspective on what it takes to be a great trader as well as what kinds of people and personalities fail as day traders. There was plenty of technical talk in here which was great for anyone learning, but I particularly enjoyed hearing Bella talk about the non-technical elements of trading e.g. adapting, mental agility, speed, toughness, tenacity, bounce back factor etc, and how much a of a role they play in keeping you in the game long term. One thing I would suggest if you plan to read this and know nothing about trading like myself when I begun, go and study some key terms and get a really solid foundation on what day trading looks like. He doesn’t hold back on the technical analysis and it took me a while to figure out what he was saying from that point of view. Many great examples of how great traders find success and how poor traders don't. Enjoyable listening to boot. this is going to be an audio book I will listen to again and again, and learn something new. I don't know how you could improve on the content. I loved the stories, and the trade narrative, it was like being there watching the screen. learned a lot about the ups and downs of the market. A must have book for day trading. Love the book. It covers all important aspects for day trading. You need to download the pdf reference when you read the book. Very insightful and easy to listen to! The narrator made the listening experience very enjoyable. Great content about the trading industry and what it's like working for a prop firm trading equities. 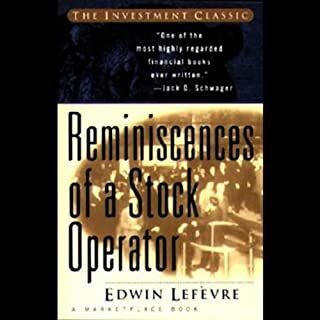 A great book for people who have been trading for a while, and are interested in the day-to-day happenings surrounding the establishment and management of a Prop' Desk firm. An interesting bio on the traders from recruitment to daily performance, to retirement. A lot of story, could have been half as long. I thought it could have more trading techniques & less story. Would appeal to those that work for Mike & his firm!